I've already mentioned this but the dates -Friday 26th to Sunday 28th August- are slowly coming closer and some details have been confirmed. 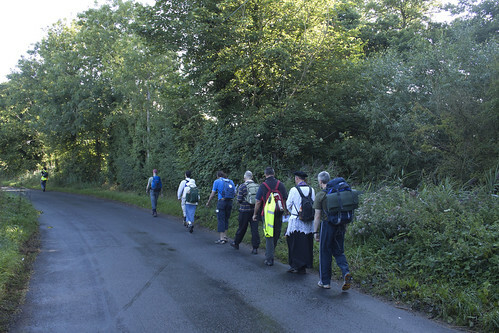 The Latin Mass Society is organising a walking pilgrimage from Ely to Walsingham, a distance of about 55 miles. It will take place over three days from Friday 26th to Sunday 28th August, which is the Bank Holiday weekend. It is modelled on the very successful Paris to Chartres pilgrimage which takes place every year, and is also a continuation of the mediaeval practice, when pilgrims would travel from all parts of England, and indeed Europe, to the Shrine of Our Lady of Walsingham. Overnight accommodation will be provided in campsites and village halls, and there will be support vehicles to transport pilgrims' luggage. Bottled water and evening meals will be provide, but pilgrims are asked to bring with them food to eat during the day. Pilgrims are asked to gather in Ely, the home town of St Etheldreda, on the Thursday evening, and there will be Mass early on Friday morning. 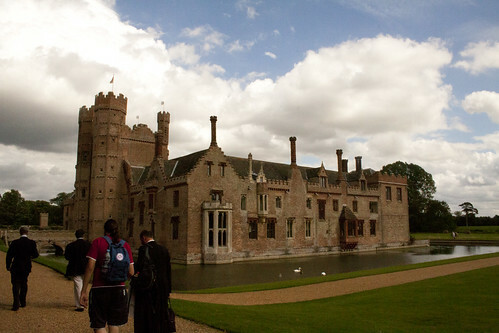 Mass on the Saturday will be in the chapel of Oxborough Hall, a 15th century mansion which has been in continuous Catholic ownership since the Reformation. On Sunday, the walkers will be joined for Mass at the Shrine of Walsingham by other pilgrims travelling by coach and private car. 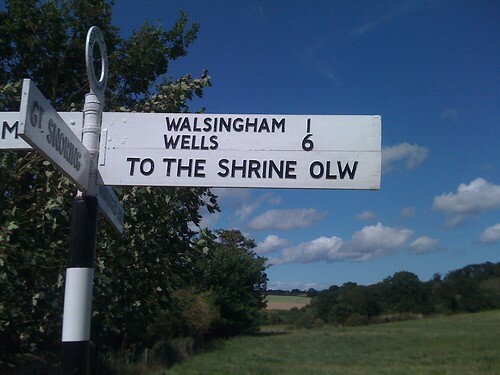 Finally, pilgrims will walk the Holy Mile into the village of Little Walsingham. Don't let us leave without you! 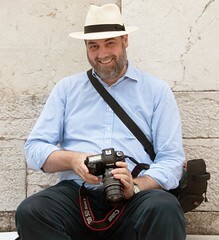 More photos of last year's pilgrimage. 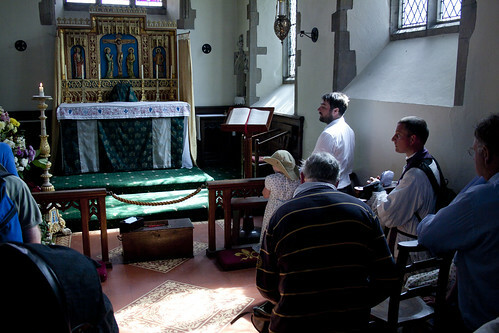 Come with us from St Ethelreda of Ely to the Lady of Walsingham.